Britain's Prime Minister Theresa May arrives at the European Council in Brussels on October 18, 2018. European Union leaders meet for a summit focused on migration and internal security, after reviewing the state of the Brexit negotiations with Britain. 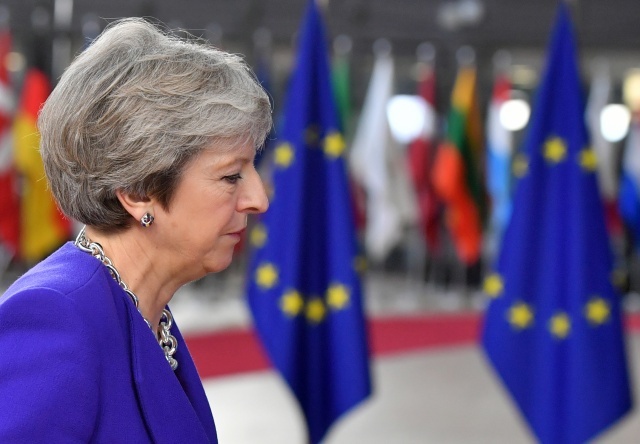 (AFP) - Prime Minister Theresa May confirmed Thursday that Britain would consider extending the transition period after Brexit for a few months if needed to agree a new trade deal with the EU.